If you do not intend to stay long term in your new holiday home, long or short-term rentals can do everything from deliver a substantial income from your investment to simply covering some of the costs associated with ownership. Property rental companies range from small firms with specialised local knowledge to multinational companies, with many companies there will be an online booking system that will allow you to keep track of who is letting your property and a good rental company will manage everything, usually for a fee of around 20% plus the cost of the rental which can range from 7% with companies such as Air B&B to 15% with someone like Booking.com. There are advantages and disadvantages to using small or multinational companies and your individual circumstances, type of property and rental aspirations will help to decide the best approach for you, we know the options in each of our regions and are happy to advise you on what will best suit your property. 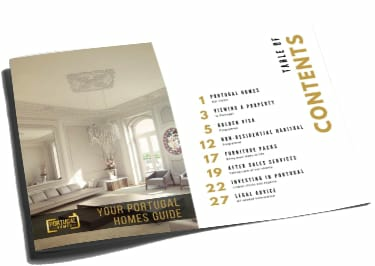 Here at Portugal Homes we are not experts on the rental market which is why we have 3 companies that we can recommend for you to choose from, we have based the companies we work with on reputation, the systems they can offer and previous feedback from our clients, you are welcome to use any rental company you wish and with the support of our Aftersales team you should have everything you need to make sure your property is looked after.